Just yesterday I was out with the family over at 1 Utama for our weekend outing. We did not hesitate to head on straight to Juice Works for our dose of healthy juices before shopping. Ever since I recommended Juice Works to my mum who has diabetes, she absolutely loves it, with the knowledge that the juices are safe to consume, as it's all natural. 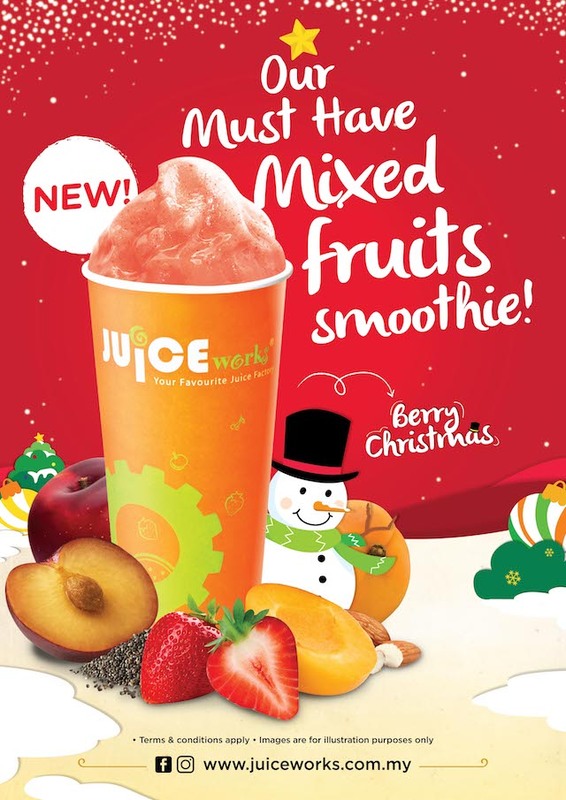 With World Diabetes Day happening this month followed by Christmas, Juice Works has launched a special juice called Berry Christmas, which is naturally delightful concoction created with an artful blend of strawberries, apricots, plums, chia seeds, almond milk, low fat mango passion yoghurt and sorbet. Patients with type 2 diabetes can certainly enjoy delicious and nutritious food found freely in their very own kitchen. Diabetes happens when an individual’s blood sugar or glucose levels are higher than normal. This rise can be caused by foods rich in carbohydrate foods like breads, cereals, rice, pasta, fruits, milk, and desserts. As such, many diabetes patients refrain from eating large meals. One of the most delicious and easiest ways to include health into their diets is through consuming fresh vegetables and fruits that are power packed with the best natural vitamins possible. The Berry Christmas is priced at RM 13.75 (Midi) and RM 14.80 (Power) including GST and will be available at all Juice Works around Malaysia. These little power packed berries are a rich source of insoluble fiber and soluble fiber (which slows down the emptying of your stomach, and improves blood sugar control. Janice and the mum ordered this flavour the other day, and they absolutely loved it! The USDA has a research proving that people who consumed 2 1/2 cups of berry juice per day for 12 weeks lowered their blood glucose levels, lifted depression, and improved their memories largely due to anthocyanins in the berries, a natural chemical that shrinks fat cells and also stimulates the release of adiponectin, a hormone that regulates blood glucose levels. 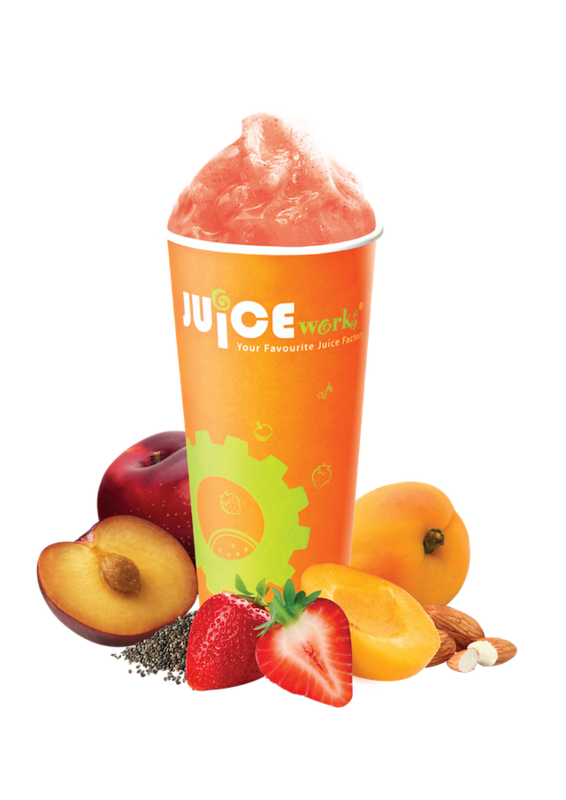 Juice Works’ popularity is soaring due to its ability to serve delicious nutrition conveniently packaged in a single cup. This year alone sees it winning three awards - Shape magazine’s Favourite for categories – Best Juice and Best Smoothie award, Top Brand in the category of Drink Kiosk, and most recently, Natural Health Magazine’s Reader’s Choice Award.